Drew is a former intern of mine, and one of the smartest coaches you’ll find in the performance field. He searches continuously for knowledge looking for the best methods to train his athletes at UC-Irvine. This is a great post that gives coaches another perspective on the training of overhead athletes. In normal shoulders, motion is composed of small glenohumeral changes and large angular rotations between the humerus and the scapula. The rotation may be internal/external or adduction/abduction (protraction/retraction) in the scapular plane and horizontal plane. For the sake of athletic performance and injury prevention, I’ll be focusing on multi-directional shoulder stability, active range of motion and control of the shoulder in overhead/elevated positions, as well as retraction and depression of the glenohumeral joint and scapula. Can overhead athletes incorporate pressing patterns into their training? Yes. Are pressing exercises necessary for their continued improvement as an overhead athlete? No. If a coach is thinking of using these movements here are a few considerations before starting. Be cautious with your progression. Start with single arm dumbbell presses first and work slowly. The open-chain nature of single arm movements allow the shoulder to move around and though potential positions of impingement. With these exercises, e.g. single arm DB overhead press, the athlete can control glenohumeral position more so than in a closed-chain movement where the athlete has both hands on the implement, e.g. barbell overhead press. Avoid the “High-5” or “90/90” position. The High-5 position is characterized as a position of multi-directional instability and a position of high laxity. Too much load placed in this position presents potential injury to the glenoid labrum. To ensure safety, if the athlete can pass through the High-5 position without abducting the glenohumeral joint, then this movement may be deemed safe. Abduction of the GH joint past the High-5 position is accepted because the athlete has moved past the impingement-zone as they get closer to the locked-out overhead position. Pressing exercises, e.g. overhead press, can be used to maintain normal function of the shoulder. These exercises promote upward rotation of the scapula but at the expense of over-developing the deltoid muscles. This can be problematic because as you feed one solution, it creates other problems. Over development in the deltoid group causes upward glide of the humeral head, decreasing subacromial space and increasing the risk for shoulder impingement. Adverse effects from decreased subacromial space may not be a huge issue with non-overhead athletes but it should be a primary concern given the repetitive nature of overhead sports. The importance of the muscles of the trunk and its segments is often forgotten or underappreciated when it comes to shoulder care. 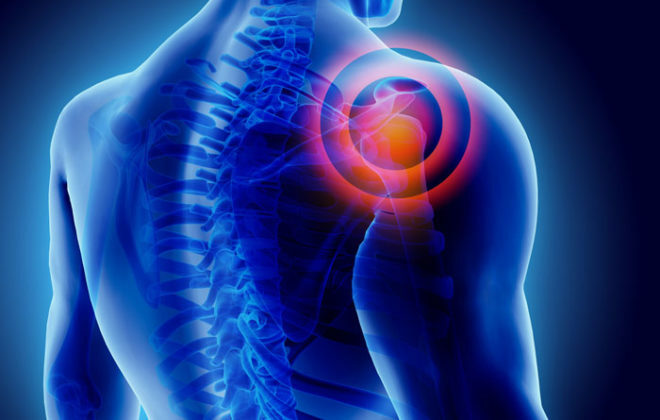 Not only do they aid in the function of the shoulder but overall movement through the connection of body links allowing upper & lower transmission of forces. A mechanism commonly referred to as “Force Coupling” takes the stiffness and energy created in the legs, conserved through the trunk and moves it out through the intended limb and out into the ball. The thoracic spine plays a huge role in the kinetic chain with its ability to flex, extend, and rotate. Adequate function of the thoracic spine allows for more efficient production of power thus requiring less energy to complete the task. More efficient movement results in decreased risk of injury. This is best displayed in the effortless elastic motion of the arm in throwing, serving, and striking patterns such as a volleyball attack or 95mph fastball. That being said, an emphasis must be placed on thoracic extension and rotation for the overhead athlete. Tight, stiff, and short are words commonly used to describe poor tissue quality and limited mobility in the shoulder region. An act to improve these qualities is focused on restoration of sliding surfaces and regaining length and control of appropriate tissues and movements. All other shoulder retraction and depression variations. 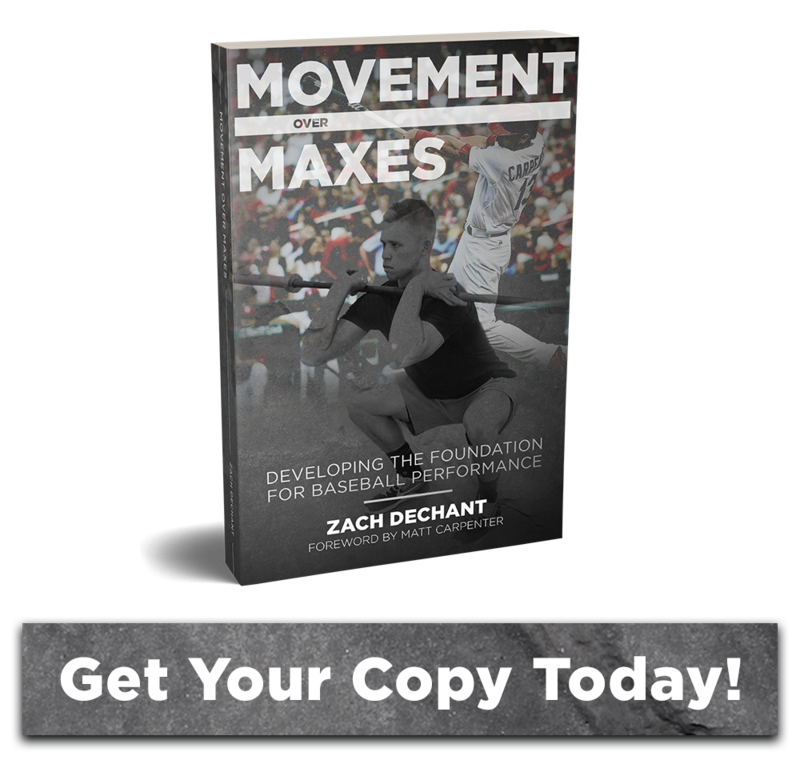 The ability to strengthen, coordinate, and control these muscles in either an overhead position or a retracted/depressed position is monumental for high performance and the prevention of injury in overhead athletes. Strength and stability of the lower and middle traps and the rhomboids allows for greater stability of the scapula in the midst of all movements. The further we can progress the athlete through various movements and positions, while displaying scapular control, the larger the palate for the expression of high-performance movements.